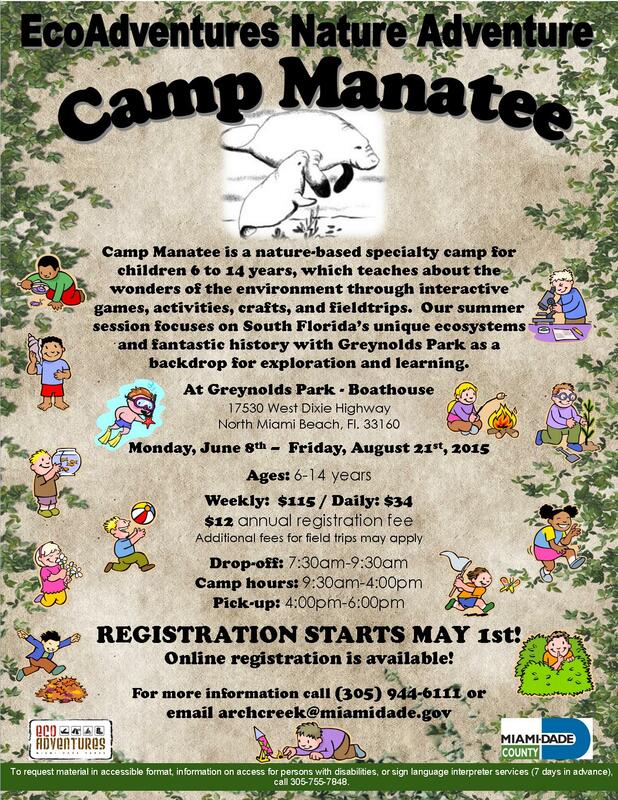 Registration for Camp Manatee Summer 2015 session starts May 1st. Online registration is available. For more information, call 305-944-6111 or email archcreek@miamidade.gov. 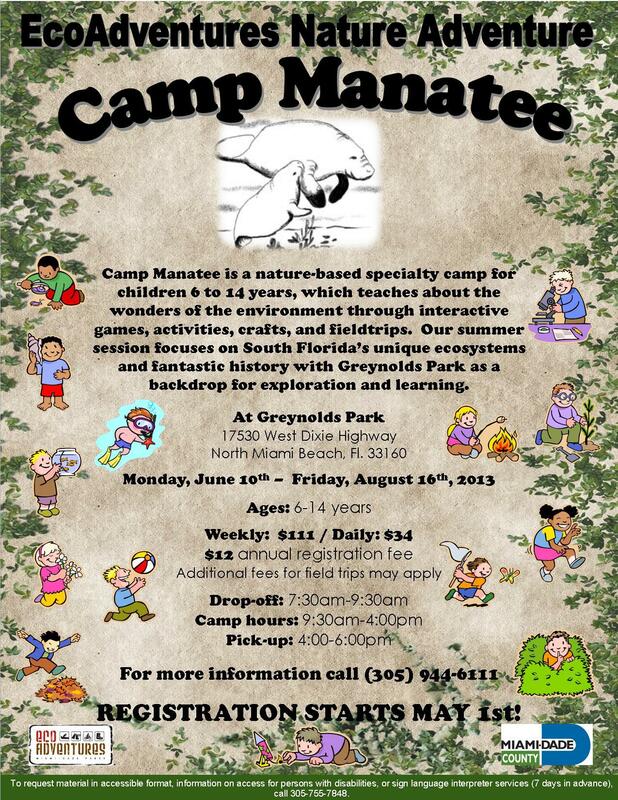 Camp Manatee Spring Camp! – Registration starts MARCH 1st! 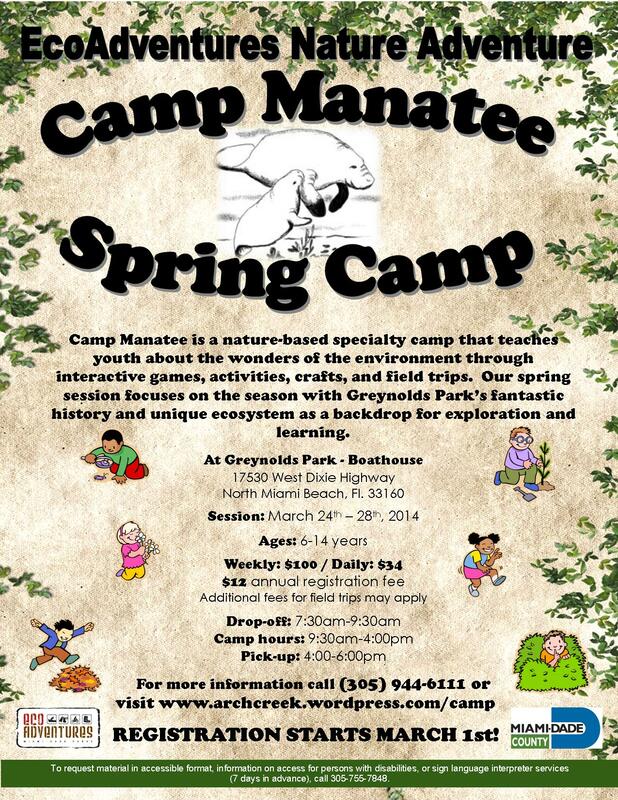 Camp Manatee will be hosting Spring Camp from Monday, March 24th to Friday, March 28th at the Greynolds Park – Boathouse. Registration starts Saturday, March 1st. You can register your camper either in person at Arch Creek Park (by appointment) or online at http://goo.gl/gGI1ya. Space is limited. Call (305-944-6111) or email (archcreek@miamidade.gov) the park naturalist if you would like more information or to set up an appointment to register. The schedule for the week is in the process of being finalized and will be available by March 1st. We are looking forward to see you all for spring camp! We are excited to announce this year’s session of spring camp at Greynolds Park. Registration for starts March 1st. 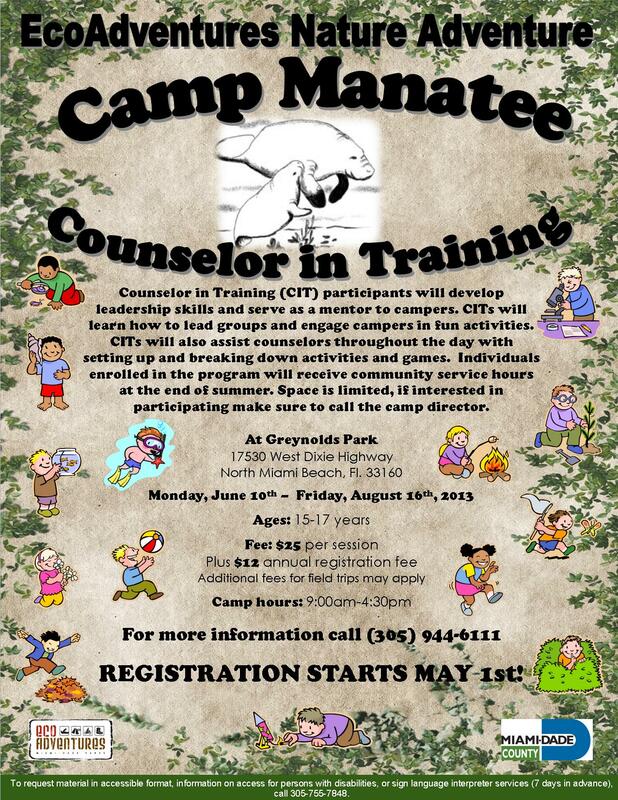 Please call to arrange an appointment to register your campers. The schedule of activities will be sent as soon as they are available, and will be posted on the Arch Creek Park’s WordPress blog page at www.archcreek.wordpress.com/camp/. If you have any questions feel free reach us by email or at 305-944-6111.